Calvary works to build strong relationships with children and families, providing support and encouragement when needed. A number of our other ministries, including youth formation, also serve the children of the Church or in the community. Here are a few initiatives, however, which are solely "kid-focused." Calvary runs an annual Backpack and School Supply drive to benefit children at nearby Madison School in Lombard. 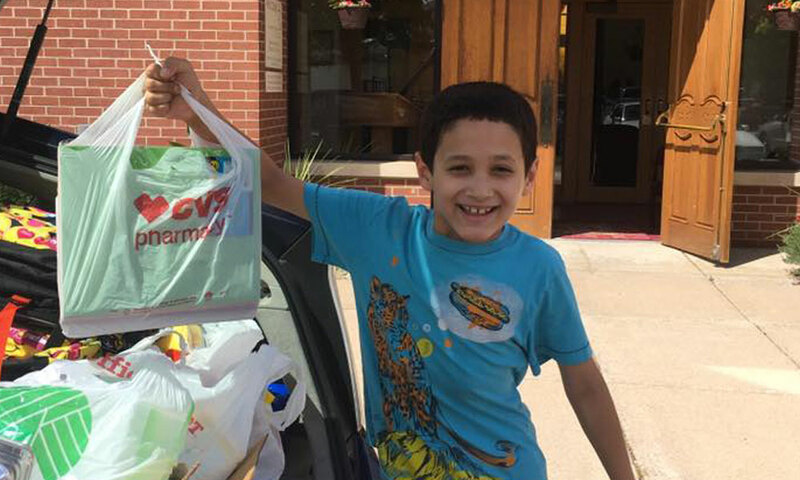 Many Lombard families struggle to provide needed supplies, and Calvarians have stepped up to provide backpacks, pens, notebooks, crayons, glue and more to help ensure that our neighborhood’s children are equipped for learning at the beginning of the school year. Calvary members work together as mentors and prayer partners helping children in need. Our mentors work with assigned children in relationship building activities with time spent on academics, fun projects and life skills. See Kids Hope USA for more information on this ministry or contact Calvary’s representatives, Kate Pierson kpierson2011@gmail.com or Susan Vitti at vitfam@ameritech.net.